Sydney-based singer-songwriter, Peter Senior, has just released a new Christmas song which is sure to become a regular addition to the holiday season’s songbook. It’s a freewheeling rock-edged tune with a big chorus hook, a foot-stomping groove and all the soulful vibe you’d expect from a Christmas classic. Peter’s Yuletide homage follows on from the success of his last two releases Cool Ride and Baby I Love You, whose contemporary infused retro styles can be heard once again in this new track The Christmas Tree. You’ll get all the ambience of a boisterous end of year party, the warmth of a festive night out and the carefree fun of a year-end get- together rolled into the one track. Peter Senior’s musical inventiveness and irreverent take on pop music have yet again spawned another surprise hit. Peter is donating all the proceeds from the sale of this new single to Aussie Helpers, a farming support group continuing their extraordinary work helping out farming families in need. 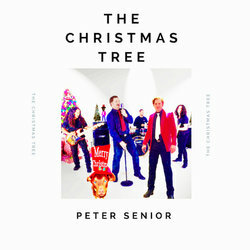 aussiehelpers.org.au Peter Senior’s The Christmas Tree is available now to download.